The daily nursery fee is £53.00 Half day sessions are £33.00 and run from 7.30am-1pm and 1.00pm- 6.30pm. The nursery is open 51 weeks and is closed for the Christmas period which is chargeable. All fees are due, and payable, one full month in advance by standing order, cash, and cheque and or childcare vouchers. Fees are payable during periods of sickness, family holidays and bank holidays. As per the contract payments must be made in full and in advance before the 5th working day of the month. Late payments will incur a fine of £10% plus 5% each day thereafter. Parents will be issued with a reminder invoice, statement of fees and a letter asking payment to be made within 7 days of the date of the letter. Failure to do so will result in a second letter issued, informing parents not to bring their child into nursery until the outstanding balance is paid in full and an updated statement including a 10% administration charge. 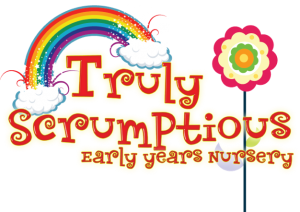 In the instance that payment is in arrears after receiving 2 reminder letters, the child’s placement at Truly Scrumptious will be terminated and the outstanding balance will be referred to a debt collection agency.